The iPhone has gotten better and better every year. 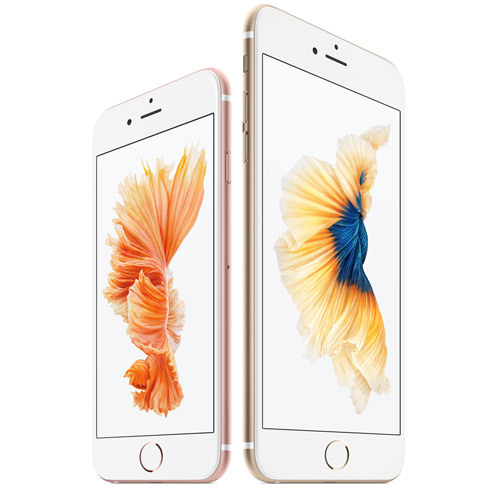 The iPhone 6 sated customer hunger for a larger display, but then Apple had to fill the gap for many who preferred a 4-inch display with the iPhone SE. Along the way, the world economy slowed, the dollar got a lot stronger, dramatic improvements for the 6s just weren't there, and many customers felt like their current iPhone was good enough. So what's next for the iPhone? The Particle Debris article of the week is from Rene Ritchie at iMore. "Tick-tock... tock? !—The future of iPhone product cycles." What Rene is referencing here is the Intel process for product development. The "Tick-Tock Model." With that as background, Rene mentions a rumor that Apple may have to insert an extra "tock" in the iPhone development cycle. And that implies another year of the "6" models, whatever they be named. OMG. Time was you'd get something new, then a better version of it, then something new again. You could count on it, like the tick-tock of some great clock. And you could plan for it—getting every one of them if you wanted to, or alternating between just the new or just the improved, depending on what you felt was the best strategy. But now it's all being burned down. Instead of tick-tock we're faced with the ultimate horror: Rumors of a tick-tock... TOCK. This is an interesting concept to get our head around because many financial observers and the media are expecting that, while the iPhone 6s/Plus wasn't enough to instigate massive upgrading, all would be made well by the introduction of a dramatically better iPhone 7 in September. Hope springs eternal. Nowadays, there are plenty of rumors about the (presumed) iPhone 7 features: inductive charging, the removal of the 3.5 mm audio jack, waterproofing, even thinner, dual cameras on the Plus model, the removal of antenna gaps/lines, an AMOLED display (but probably not this version), to name a few. The question Apple faces, and the one Rene fleshes out, is whether the hype surrounding a new iPhone and its actual features is out of sync with the realities of the market place. That is to say, all the new features may not be enough to move customers into upgrading. Should Apple, instead, stretch out the cycle, adding another "tock" to telegraph that Apple is improving the iPhone mildly, but doesn't expect a massive migration? That puts the reality of the situaiton in better perspective, and it doesn't appear that Apple is failing in its traditional process of dramatic growth and frenzied upgrades. Another factor that has gone largely uncovered, so far as I can tell, is the movement away from carrier financed plans and towards owning the iPhone, even if on a loan. This shift from the carrier carrying part of the financial burden (in the U.S.) to the consumer carrying all of it has probably made consumers more acutely aware that they're buying a US$650 device every year. Possibly more if a spouse and teenager or two is included. In that case, a really tough decision has to be made as to whether the new iPhone model is a "must-have" every 12 months. Likewise, if Apple doesn't make significant design changes in 2016 it won't be because the company is stupid or doomed, but because the design changes coming next are f--cking hard and will take another year. Only time will tell, but I think the current, global market forces and technology limits are coming home to roost. The iPhone is certainly becoming a very mature device, and the dramatic changes Apple wants to eventually make might be more aligned with 2017-2019 technologies. Right now, Apple is pretty good a coping with the realities marketplace, and Rene has a great thesis. We shall soon see. Page 2: The Tech News Debris for the Week of May 9th. Planning for your next Apple TV. Consumers have purchased more than seven million 4K UltraHD TVs to date in the brief period since the product came to market, and more than 1.5 million 4K Ultra HD TVs sold in the first quarter, up 210%. That, in turn, is sparking strong demand for UHD content. From what I'm seeing, HDR (high dynamic range, a 4K UHD TV essential) is being introduced in the high end 4K UHD TVs first. That means that, this Christmas, a standard 4K UHD TV will be available for a song, but if you want HDR as well, in a 65-inch model, you'll likely still pay several thousand dollars. What you want to look for is the is the "UltraHD Premium" label that certifies compliance with the HDR standards established by the UHD Alliance. To read up on HDR, as well as see the UHD Alliance HDR standard, I recommend this excellent tutorial. "Ultimate Guide to High Dynamic Range (HDR) in 4K TVs..."
Note that a 4K UHD TV with HDR capability won't exploit that feature unless 4K UHD content is mastered for it. But my readings suggest that this is the emerging norm starting in 2016. And so, one could surmise that the next version of the Apple TV that supports 4K UHD will also support HDR, and that means HDMI 2.0a (note the "a" for HDR) output with HDCP 2.2. Watch for that. Disney CEO Bob Iger is pumped about Hulu's new subscription streaming service, Hulu Live. Hulu already has a user base of 12 million, and it's clear the industry had its own very specific ideas about content delivery. In hindsight, it was crazy to think that Apple would be allowed to become a player; Apple never had a chance. Anyway, to get a taste of how Iger and his colleagues are thinking, see: "Disney CEO Bob Iger Bullish on Hulu Live." Unfortunately, the Windows world has more inertia, reflecting the strong use of Windows in government and business. 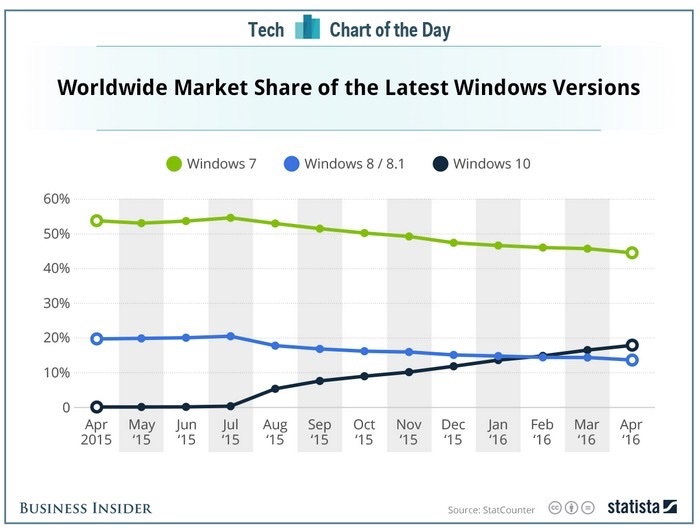 Here's a Business Insider/Statista chart on the market share of Windows 7, 8.x and 10, a year after the release of Windows 10. This is still one of the most remarkable differences between these two OSes, and is a testament to the great design and upgradability of OS X. 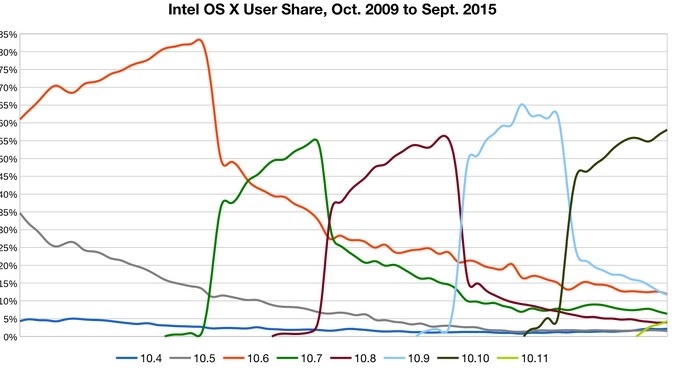 Now, the question is: with OS X fairly mature, does Apple want to and need to continue this yearly push? That certainly reflects Apple's commitment to the Mac. Or is it time to stretch out the update period to 18-24 months for the sake of developers and user sanity? But that could also be taken as a sign of Apple's flagging interest in OS X (soon to be MacOS?). Choose your poison. Earlier this week there was a story at Digital Music News about Apple's (leaked) plans to discontinue music sales "within two years." Later, Apple spokesperson Tom Neumayr told Re/code, "Not true." See: "No, Apple isn’t Killing Off iTunes Music Sales." However, just the specter of such an event has probably got people thinking about different ways to manage a purchased music collection in iTunes. In the process of exploring this subject, I ran across this article that introduces an export and archive utility for iTunes. See: "How To Do To iTunes What You’ve Always Hoped You Could Do (say goodbye)." This opens the door (for non-DRM music) to alternative, simple music players. Finally, here's an article that provides some insight, via Apple's VP Jennifer Bailey, as to why the Apple Pay rollout was delayed in Canada. It's chock full of background and insights about the inner workings of Apple Pay, Apple's clout, and changes the Canadian banking system had to make. "Canadian banks, including ‘the Big Five,’ sign on for major Apple Pay expansion."